"Dear Mrs Clover, The sad news has reached me today that my dear friend has ended his long course of weakness and ill health. When I remember that forty years ago he came up to his studies in London bringing me a note from Dr Lubbock of this city begging me to do my best to prevent his overworking his weakly & delicate frame I can but wonder, not that his life is ended, but that it has been prevented so long. No one knows better that I do, by recent sad experience, how useless words of sympathy are to you, who must bear this great loss as best you can. Time alone can soften &mitigate the immediate sense of loneliness & grief & surely the recollection of this pure life, of duty & daily work nobly done, &all his good and wordly qualities will be a source of comfort. Accept my true regard & Believe me Yours faithfully, W Cadge." 1. Obituary. J.T.Clover, F.R.C.S., L.S.A. British Medical Journal.656. 2. Obituary. J.T.Clover, F.R.C.S. Eng. The Lancet. 1882:597. 3. Obituary. British Journal of Dental Science. 1882;LXXV:1021-3. 4. Obituary Notice. 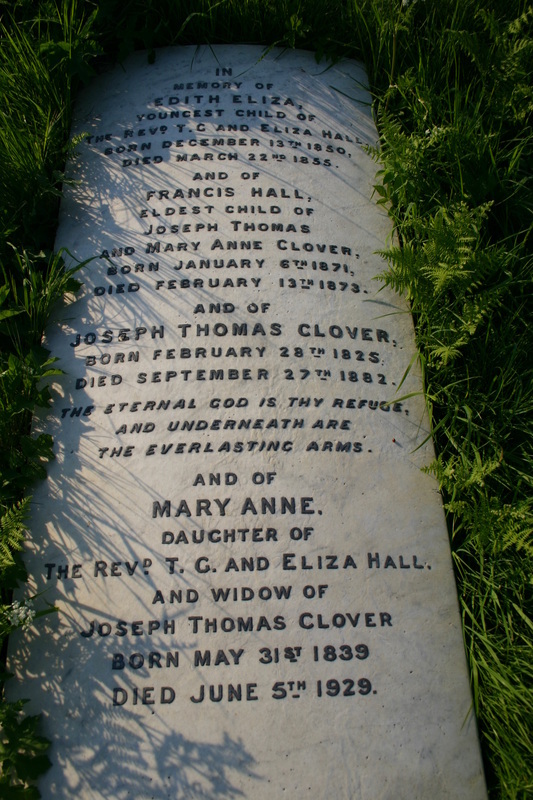 Joseph Thomas Clover, F.R.C.S. The Journal of the British Dental Association. 1882;III(10):555-7. 5. Cadge W. Letter to Mrs Clover. Clover-Snow Collection IV Woodward Biomedical Library; 1882. 6. Macintosh R. The graves of John Snow and Joseph Thomas Clover. Anaesthesia. 1969;24(2):269-70.